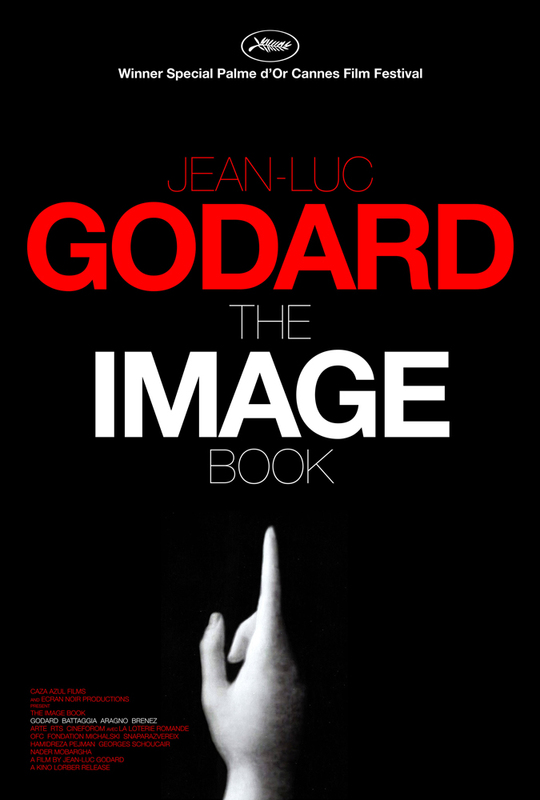 The legendary Jean-Luc Godard adds to his influential, iconoclastic legacy with this provocative collage film essay, a vast ontological inquiry into the history of the moving image and a commentary on the contemporary world. The legendary Jean-Luc Godard adds to his influential, iconoclastic legacy with this provocative collage film essay, a vast ontological inquiry into the history of the moving image and a commentary on the contemporary world. Winner of the first Special Palme d’Or to be awarded in the history of the Cannes Film Festival, The Image Book is another extraordinary addition to the French master’s vast filmography. Displaying an encyclopedic grasp of cinema and its history, Godard pieces together fragments and clips them from some of the greatest films of the past, then digitally alters, bleaches, and washes them, all in the service of reflecting on what he sees in front of him and what he makes of the dissonance that surrounds him. He uses his own voice, reminiscent of those of Leonard Cohen or Bob Dylan in the twilights of their careers, to guide us through the fascinating labyrinth of his mind. In some cases, it is to reflect on the metaphysical properties of the world — time, and space, and where meaning is found — but more importantly it is the image, the thing that has obsessed Godard for his entire career, that anchors this film. His ontological enquiry into the image continues to be one of the most moving in history.